One of my personal favorite radio stations in the country, RadioU is not your ordinary station. They play intense music that you definitely would not hear on many other radio stations. 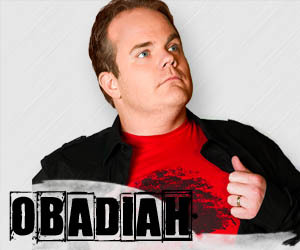 I recently spoke with Obadiah, longtime co-host of their morning show “The Riot“. Gabe: How many stations does RadioU run now and where? Obadiah: RadioU has five stations in Ohio (Columbus, Mt. Vernon, Circleville, Springfield, Dayton); one station in Oklahoma City, OK; three stations in California (San Luis Obispo, Five Cities, Santa Maria); one station in Dunkirk, NY; two stations in Michigan (Midland and Alma); and two stations in Washington (Seattle/Granite Falls and Issaquah). We also have two more stations set to sign on soon in Ohio. Gabe: How difficult is it to run a listener supported radio station? Okay, maybe not THAT hard. Running a listener supported station is difficult because (obviously) you do not pull in anywhere near as much money as a commercial station. This means that we have to be much more careful and strategic with our finances. There are things that we would love to do that we cannot afford. The bonus to this, however, is that we have a much tighter relationship with our listening audience. It’s amazing to see them support us year after year. This gratitude affects everything that we do here because we know the money we are using has come from the sacrifice of someone on the other end of the radio. It’s humbling. Gabe: RadioU plays a lot of bands (TwentyOne Pilots, Thrice, Beartooth) that aren’t necessarily Christian music and have also decided to play some local bands (OceanSpeak). How do you determine what gets played when it comes to those types of bands? Obadiah: There is a Music Committee that carefully reviews the bands and music that we play. It is not just a matter of whether the members of a band are Christians. The music has to be good enough! Lyrics, production, artistry, lifestyle– all of these and more are contributing factors to the music that we play. Gabe: Has the evolution of the music industry affected RadioU? If so, how? Obadiah: I think the biggest change for us has been the source of our music. There was a time when the majority of the music came from bands who had been signed to labels with the occasional indie band making an appearance. The digital revolution and crowdfunding campaigns have made it possible for bands to create and distribute music on their own. As a result, we deal more directly with bands and our playlist features many more independent artists than ever before. Gabe: Ironically, RadioU doesn’t play much ‘radio friendly’ music. How much fun is it to be apart of that unique position? Working at RadioU is fantastic. We play a unique mix of bands and feature a broad spectrum of personalities. It’s awesome. Gabe: Obviously, with RadioU, it’s more than the music. What are some examples of instances where the lyrics behind these songs have impacted listeners? Obadiah: There are SO MANY stories that I could feature. If you want to hear more than one, we have a bunch listed at radiou.com/impact. If you want to listen to RadioU, visit their website or download their app from any Apple or Android device. Don’t forget to follow them on Twitter! This entry was posted in art, Christianity, Music, radio and tagged radiou. Bookmark the permalink.